UCLA Slavic Studies no. 7 Russia’s first narrative history, The Book of Degrees of the Royal Genealogy (Kniga stepennaia tsarskogo rodosloviia), was produced in the Kremlin scriptorium of the Moscow metropolitans during the reign of Ivan IV (1533–84). A collaborative project to prepare a new critical edition in three volumes, based on the text of the earliest surviving copies with variants and commentary, spurred intensive research into the book’s manuscripts and its sources. 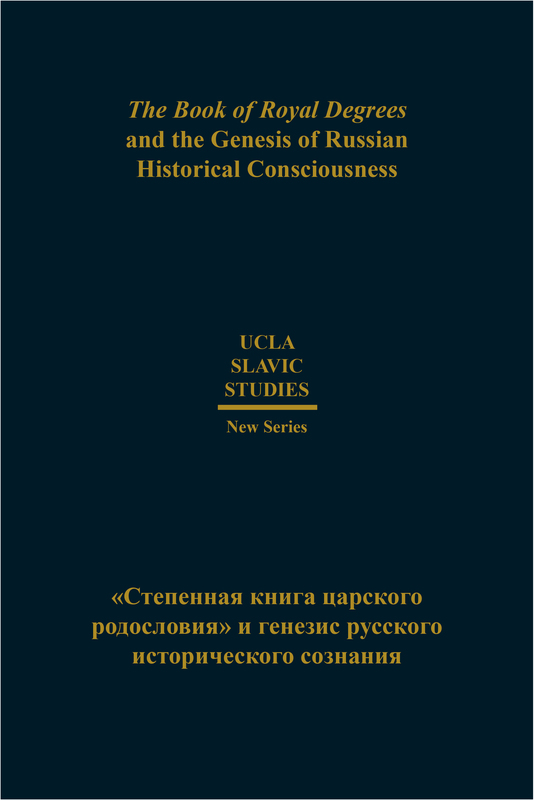 In February of 2009, an international group of scholars with expertise in a range of disciplines convened at UCLA to consider the book’s representation of Kievan and Muscovite history, the politics of its creation, its literary status, and its ideological uses in its time as well as larger themes: What are the pre-conditions for a “culture of history”? How do historical narratives legitimize and influence their present? Selected articles presented at this forum, which build on and reference these discussions, have been arranged in thematic groups. Section 1 focuses on the Stepennaia kniga’s genesis, production, and institutional status. Section 2 looks at the book’s narrative and stylistic models. Section 3 traces and contextualizes the book’s construction of historical narratives in successive steps. Section 4 considers religious patronage and observance in the broader Muscovite context. The final section explores church efforts to exert moral influence on Russian rulers. Some of the articles in this volume present sharply differing views and interpretations, while in other cases we find more nuanced readings of the evidence than earlier scholarship had considered. Overall, these essays raise more questions than they answer, and we hope that this reconsideration of the Stepennaia kniga will stimulate continuing discussion and analysis of the role and importance of narrative history in Muscovite Rus’ and in subsequent Russian culture.